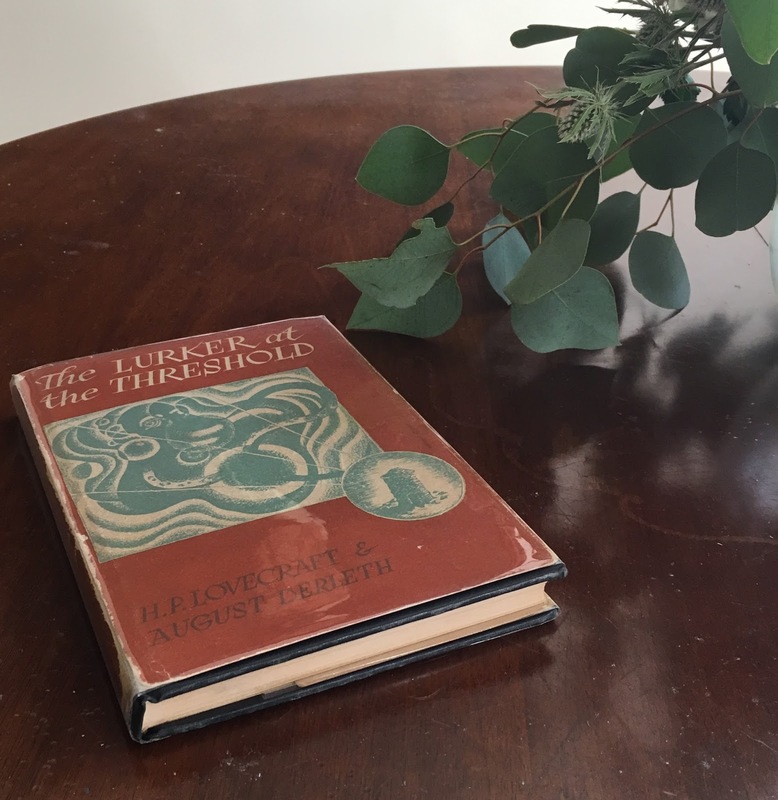 This is a first edition of The Lurker at the Threshold by H.P. Lovecraft & August Derleth, published in 1945 by Arkham House. Arkham House was founded by Derleth in Sauk City, Wisconsin in 1939 and primarily published works by H.P. Lovecraft and related American horror novels. One of my favorite bookstores in Hadley Massachusetts (Grey Matter Books) recently acquired a massive library of old Arkham House first editions; they're kept in a locked room with poor lighting, in my opinion the perfect way to discover bowing shelves of the Cthulhu Mythos. These are all priced appropriately (expensive!) but I've had the pleasure of picking up a few of the many books there - including this very early Arkham House work. The Lurker at the Threshold is lesser Lovecraft, and in fact more of a Derleth book. Derleth completed the majority of the book after Lovecraft's death in 1937 by using Lovecraft's notes. It was printed in a very small run of around 3,000 copies and is one of the more rare Arkham House editions out there. Various Artists, "Los Alamos Grind!"